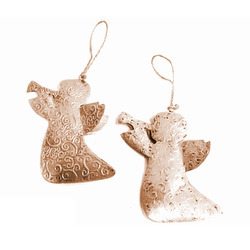 Our product range includes a wide range of christmas tree hanging, christmas tree ornaments, hanging hearts ornaments, aluminum words hanging ornaments, snowflakes ornaments and hanging angles. We are leading manufacturer and exporter of superior quality Christmas Tree Hanging. Owing to our vast experience in this domain, we have been able to offer world-class Christmas Tree Ornaments to our clients' end. 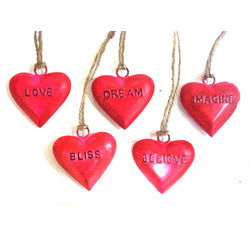 We are offering Hanging Hearts Ornaments to our clients. 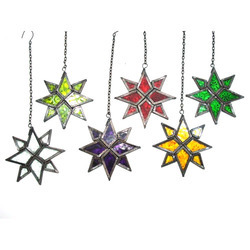 We are leading manufacturer and exporter of superior quality Aluminum Words Hanging Ornaments. 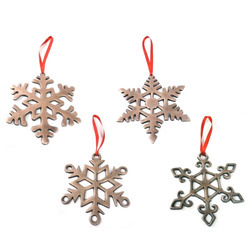 Owing to our vast experience in this domain, we have been able to offer world-class Snowflakes Ornaments to our clients' end. We hold the specialization in manufacturing and exporting high quality Hanging Angles. Obtained from trustworthy vendors, good quality raw materials are being incorporated in the manufacturing of these angles. Offered angles are long-lasting and appreciated for their mirror-shine look and elegant design. Our hanging angles are demanded in drawing rooms, conference rooms, hotels and meeting rooms. We are one of the most preferred organizations offering superior quality Hanging Snowflakes to our prestigious clients. Offered snowflakes are precisely manufactured in the accordance with international parameters, under strict supervision. These snowflakes, we offer are widely applicable in the office receptions, conference rooms, educational institutes, drawing rooms and demanded by interior designing farms. 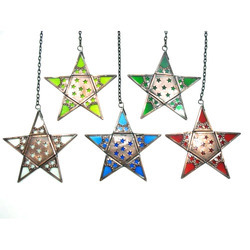 Our organization in counted among the leading manufacturers and exporters of best quality Hanging Star Décor. To manufacture these decor pieces our professionals include good quality metals and alloys. Our high quality decorative products appreciated among the clients for their eye-catching designs, classy look and light weight. 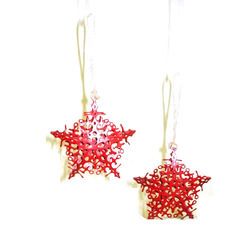 Available at affordable prices, our hanging star décors are demanded in both domestic and commercial uses. 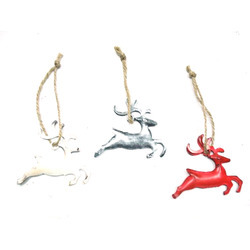 Owing to our expertise in this domain, we have been able to offer high quality Metal Reindeer Décor at market leading prices. These decors are manufactured in the accordance with industry set quality norms and specifications, using finest quality metals. Offered decors are used as decorative show piece to enrich the interior. These wall decors, we offer are demanded in restaurants, hotels, show rooms and drawing rooms.